Jess is the Designer and Creator of some stunning headpieces. Her designs make me want to gallop to the races or gatecrash someones wedding (watch out all you love birds!). 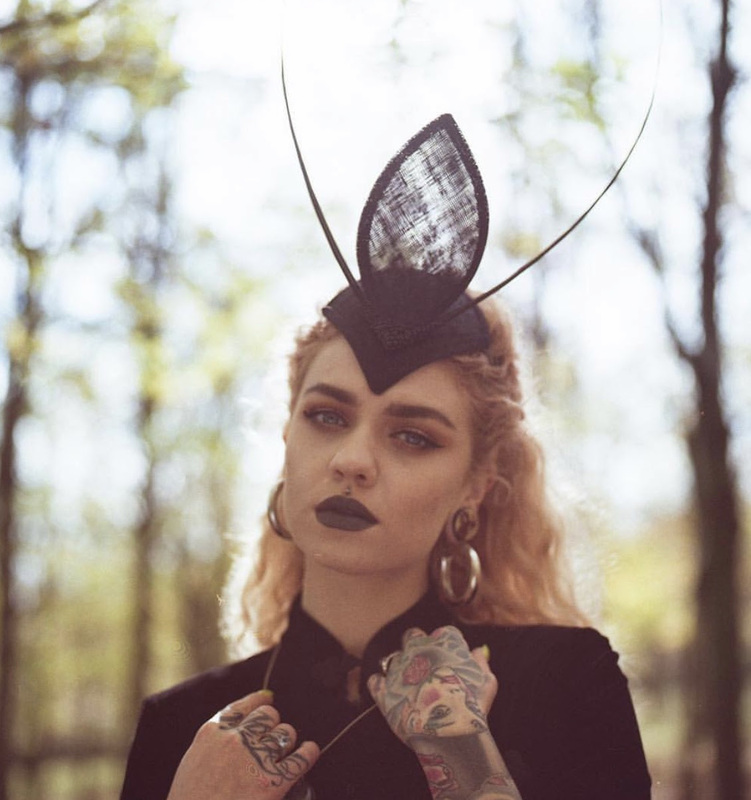 I was always obsessed with the art of hat-making as a child, so getting the opportunity to interview and feature Jess is a real pleasure. 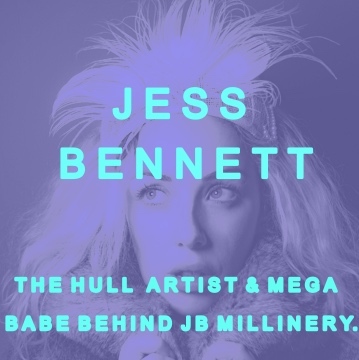 Not only does this woman have an outstanding amount of talent and skills, she is also a HULL lass with loads of ambition! Be sure to check out her full collection online and find out more about this total mega babe BELOW. Hi Jess, could you start by telling all of us Rebel Girls a little bit about yourself? I’m a mum who is also an obsessed hatter/artist from Hull who loves designing, creating and making exciting millinery. I have a Textile Design background and when I was small, I really wanted to make hats. So much so, I did my work-experience aged 16 at ‘Hats on Top’ *Top Deck of Prinny Quay to all you Hull folk*. 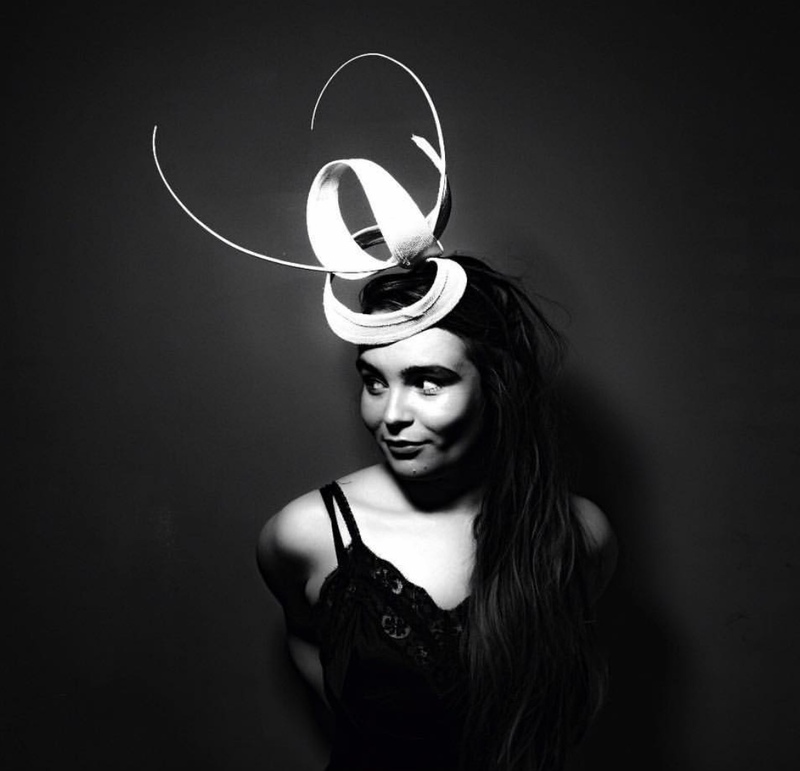 What inspired you to choose Millinery and start life as a Designer/Maker? I did a degree in fashion design, and there was nothing I loved more, than when we got to make hats. I was totally hooked. I loved the freedom of it, compared to the maths-based pattern cutting and construction of fabric. It was love at first sight! I know you offer a bespoke service to customers looking for that special piece of headwear. What has been your favourite design so far or the piece you’re the most proud of? The hat that I’m most proud of is from a mini collection that I did, inspired by bees. It’s a large beehive made from lotus pods, with a huge tassle fringe. Almost like a haunted Amy Winehouse/Marge Simpson. I’m doing another collection based around this one piece later in the year, so watch this space! Working Freelance can make that work/life balance a bit tricky. Do you have any advice or valuable lessons to share with anyone who is looking to embark on a creative career or set themselves up as a Freelance Designer? You have to be laser focused on outcomes. I have a year goal planner that I work with. Its a lot of organising and creative planning. I feel that when you are obsessed with something you eventually get to where you want to be. In a nutshell, know your outcomes. Here at The Rebel Girls Club, we talk a lot about Hull’s creative industry. We are a small Northern City and this can have it’s challenges. Has it been difficult to establish yourself and promote JB Millinery here and have you seen any positive changes since we became City of Culture? I’m still trying to establish myself, but I’m confident I’ll get there eventually. People seem proud of Hull, more so than before. I think Hull has HUGE potential to become a more creative city. I think connecting with your creative tribe within the city helps you and your business grow. It's essential to be around inspiring, uplifting people who are sharing the same city space as you. People like yourselves are helping this happen! 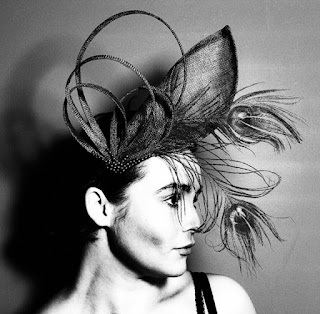 And finally, we would love to know what the future holds for J B Millinery? I love to hear about people’s goals and dreams, however big or small! I have two major collections coming out this year. One is based around bees which are a massive muse for me creatively and the second is based on women that I find inspirational. Both are very different but I’m equally excited for them. Long term I want to keep designing, creating, and pushing myself to make J B Millinery a household name in fashion. I just want to keep going and see how far I can actually get! 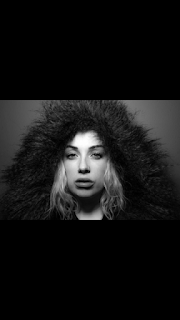 Thank you so much Jess, for letting The Rebel Girls Club interview you. I can't wait to see what 2019 brings for you. Be sure to check out J B Millinery on Instagram or visit the website.